The PTA is helping to expand opportunities in the Community Service and Internship Programs. Community Service Coordinators Amelia Betancourt and Rebeca Deans would like to build a resource that students and parents can access for ideas in their neighborhoods. We need parents to explore organizations near them that may want student help. We are developing a database for organizing this information, and when it is ready, the PTA will send a broad solicitation to the parent body with details about the information needed.The Internship Program is an option for students to work off campus in a field of interest during their senior year. They can work one or both semesters, with prior approval from Hunter. 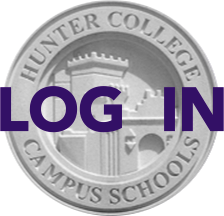 Parents who can provide an internship at their place of employment or who have contacts who can, are encouraged to email Off-Campus Internship Coordinator David Butts (dbutts@hccs.hunter.cuny.edu) or the PTA. We particularly need new internships in business fields. To get more information, send suggestions, or volunteer your time, please email Jennifer Edwards, the PTA liaison at communityservice@hunterpta.org.